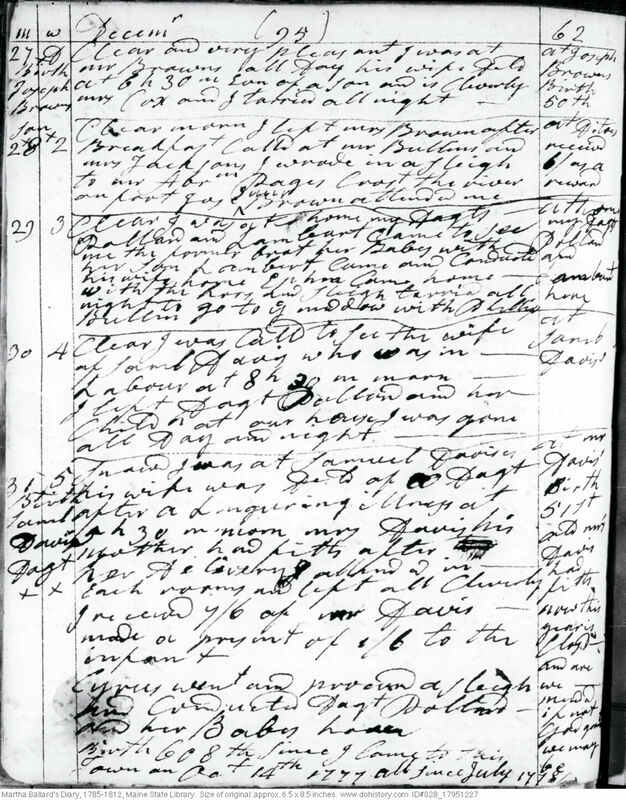 The text rendition for the Dec. 31 entry does not format the tabular data as Martha entered it. 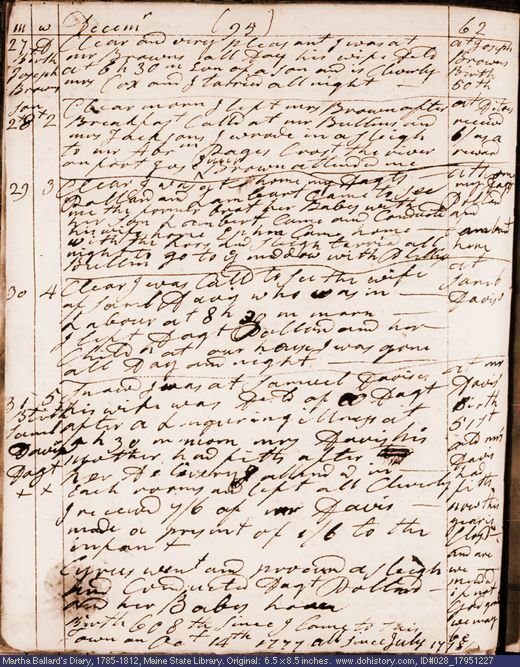 Also, the transcription for the Dec. 31 entry contains errors introduced by an automated text conversion which was used to help bring the diary transcription to its present format. Please refer to the image version for an accurate depiction.